CARFAX CERTIFIED ONE OWNER!! We are pleased to offer for sale this well maintained, one owner 2015 Chevrolet Silverado Crew Cab LTZ 4WD finished in an original slate grey metallic exterior over a like new jet black leather interior. 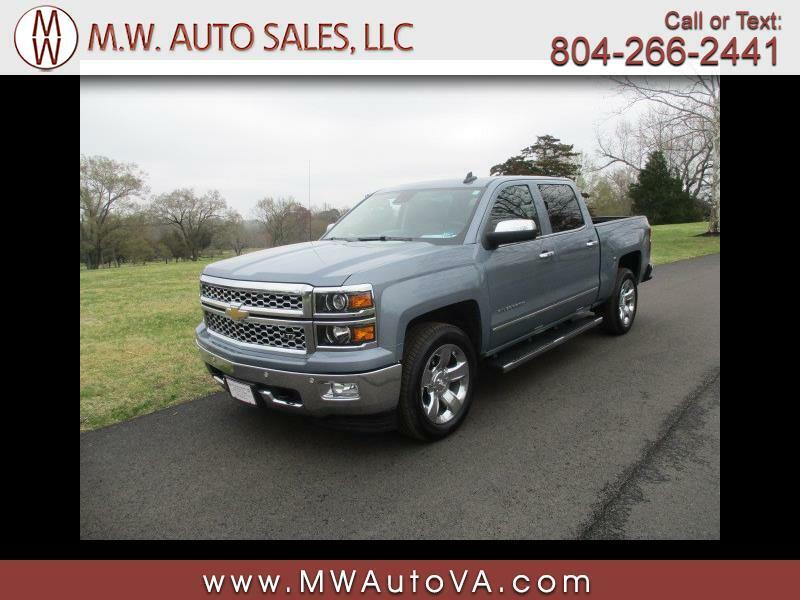 This Silverado comes loaded up with dual power front seats, heated and air conditioned front seats, power sliding rear window, front and rear park assist, lane departure warning, Mylink audio system w/navigation, and 20'' chrome wheels wrapped in a nice set of matching Michelin tires. We have all owners booklets and the original window sticker showing and MSRP of $50,075.